Weizenblatt Gallery at Mars Hill University will host an exhibition of Asheville artist Randy Shull’s work from September 26 to November 2, 2018. There will be a reception on Wednesday, October 3, from 6-8 p.m.
It’s almost impossible to put a label on Shull’s work. For over 25 years, he has been working at the intersection of architecture, landscape design, furniture design, and painting. 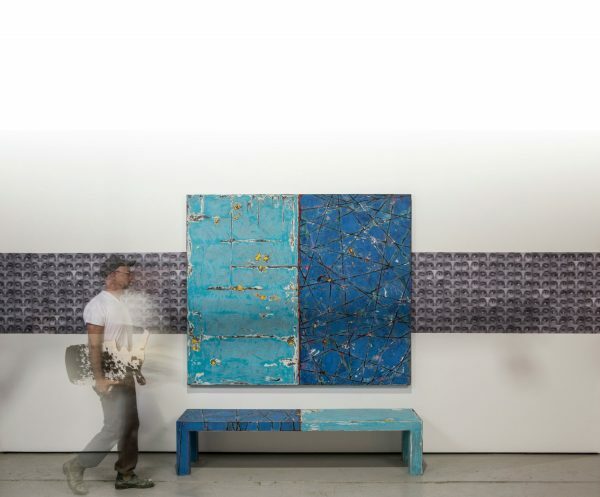 A single piece might combine painting and furniture, landscape design and architecture, or any other combination. Shull’s work is colorful, energetic, decorative, and thought-provoking, all at the same time. Shull earned a B.F.A. in furniture design from Rochester Institute of Technology. His work is included in a number of national museum collections including the Brooklyn Museum, New York; the High Museum, Atlanta; the Renwick Museum of American Art, Washington; the Mint Museum of Craft & Design, Charlotte; Racine Museum of Art, Racine, Wisconsin; the Gregg Museum of Art & Design, Raleigh; Museum of Art and Design, New York; Black Mountain College Museum; the Asheville Art Museum; the Ogden Museum of Southern Art; the Mobile Museum of Art; and numerous corporate collections including Fidelity, Wells Fargo, and Piedmont Natural Gas. In 2014, his work was the subject of a museum exhibition at the Spartanburg Art Museum. Established in 1991 as a gift from the estate of Dr. Sprinza Weizenblatt, Asheville physician and philanthropist, the primary function of the Weizenblatt Gallery at Mars Hill University is to educate through art. Weizenblatt Gallery hosts exhibitions of work in a variety of styles and mediums by artists of local and national prominence. The gallery’s operational hours are Monday through Friday from 10 a.m. to 4 p.m. during the academic spring and fall semesters. The general public, school classes, and other groups are welcome. Admission is free. For more information, contact Skip Rohde, Weizenblatt Gallery director, at williamskip_rohde@mhu.edu or (828) 273-6476.